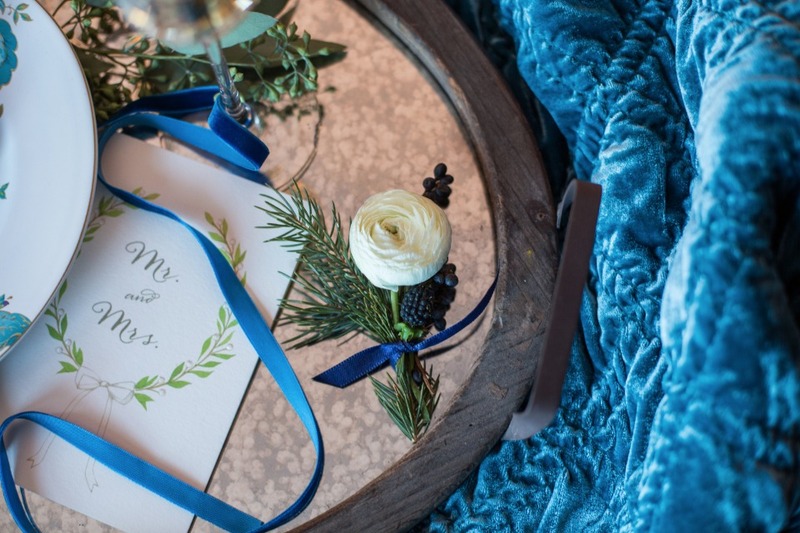 If you’re planning on a dreamy winter wedding, then this next inspiration is for you! 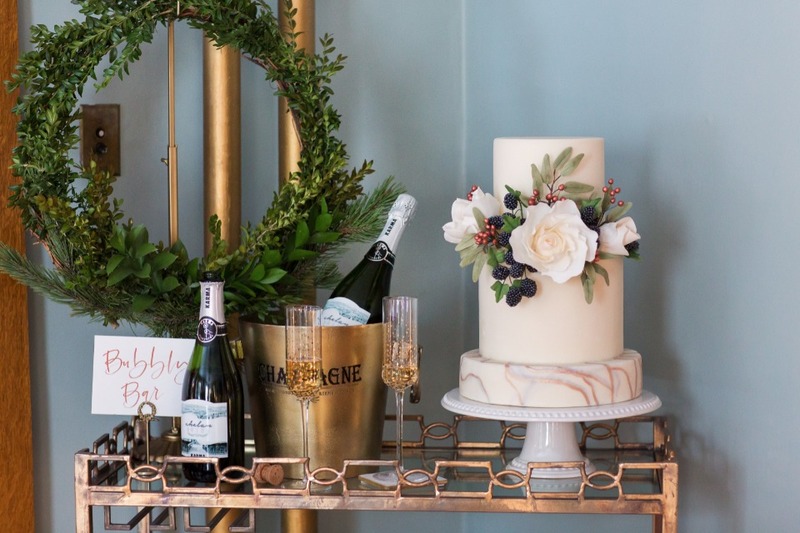 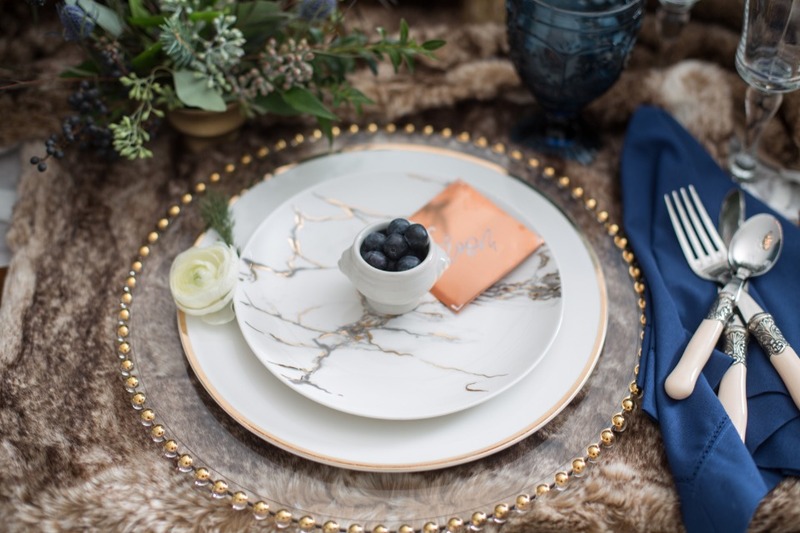 Weddings By Dani and a talented team of vendors used a mix of metallics and fur to create a cozy winter vibe that is both romantic and classic. 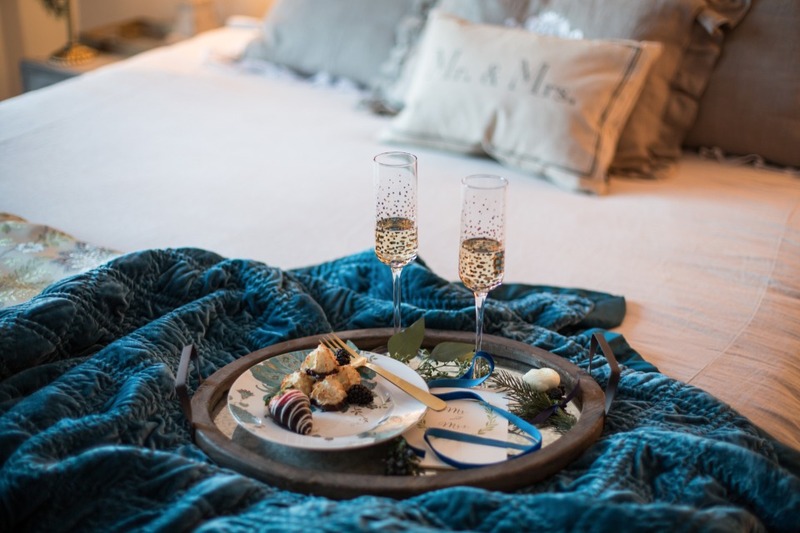 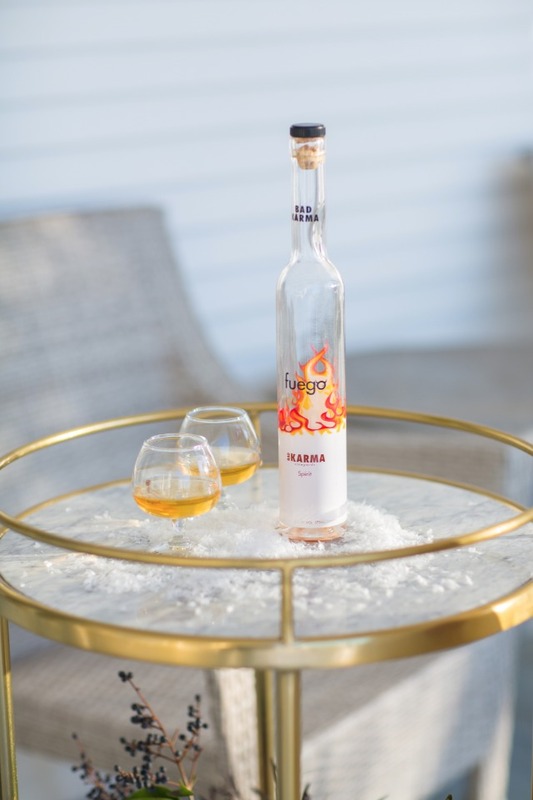 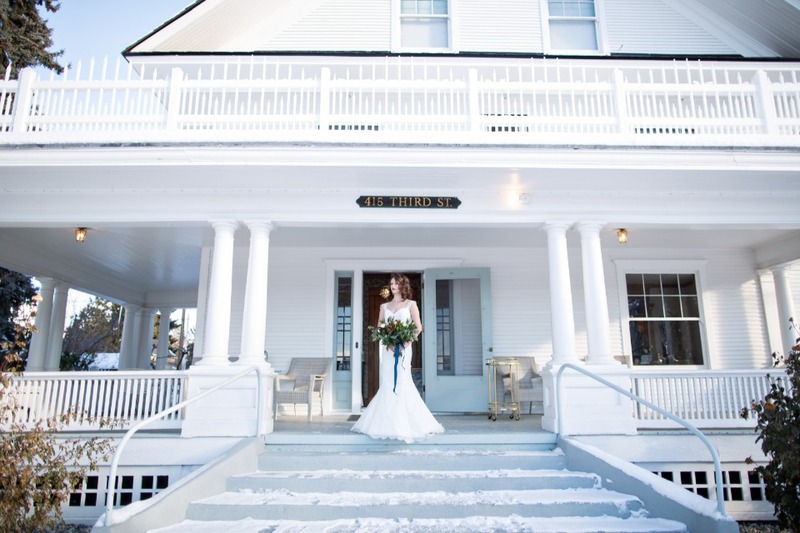 The gorgeous 100 year old victorian house also known as The Whaley is the air of grandeur with its wrap around porch and charming bridal suite. 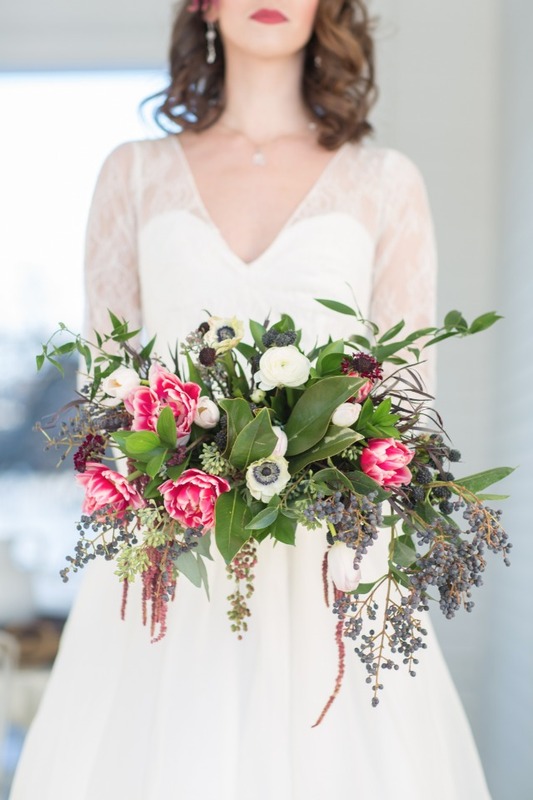 Keep scrolling for more must-have details captured by the talented Ben + Molly Photography. 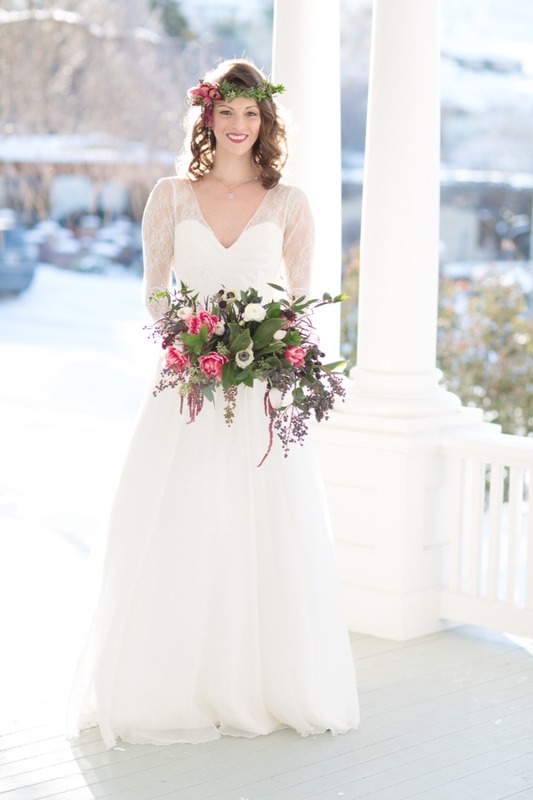 Plus, don’t miss the full gallery after! 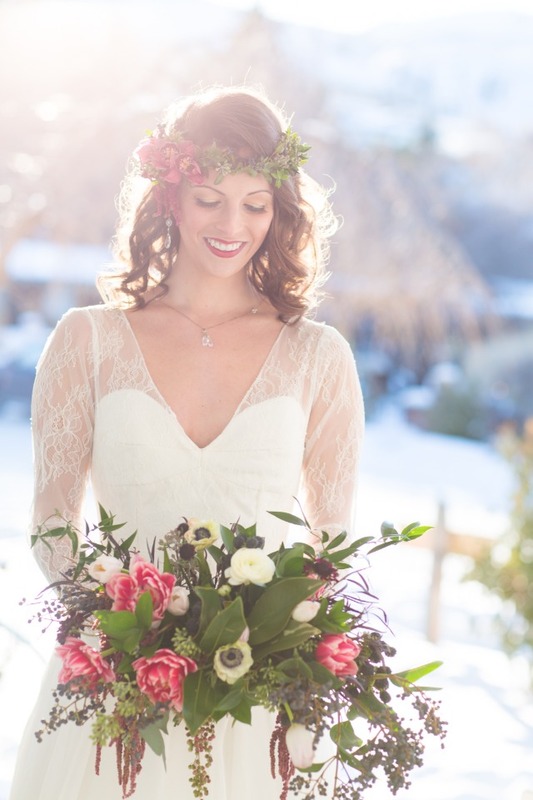 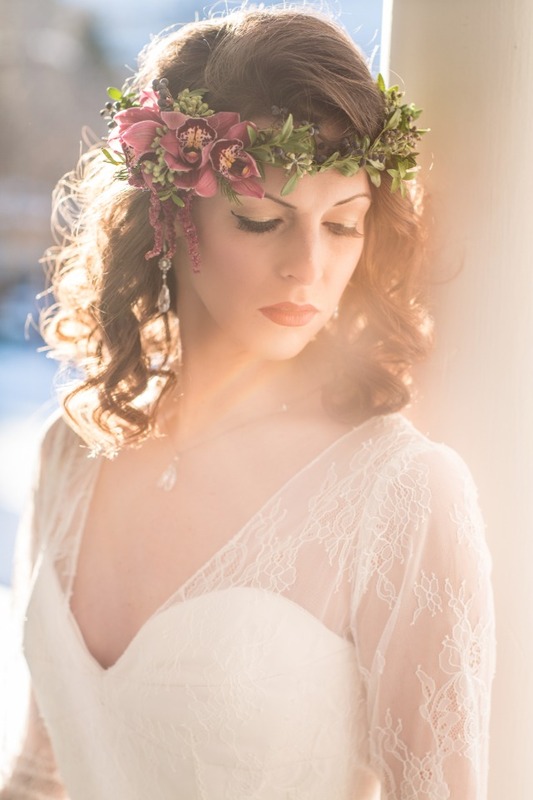 From Weddings By Dani: The look we wanted to go for was an intimate wintery affair, classic style with modern details. 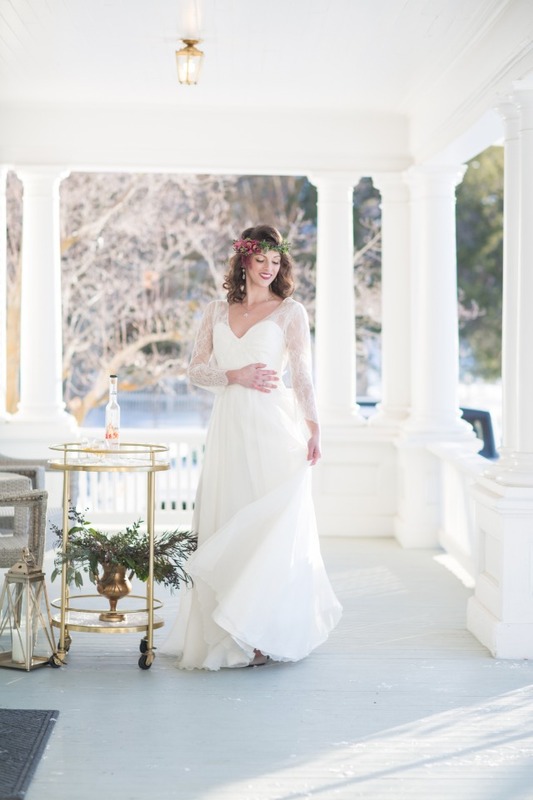 Our styled shoot took place at The Whaley, a refurbished victorian house that's over 100 years old. 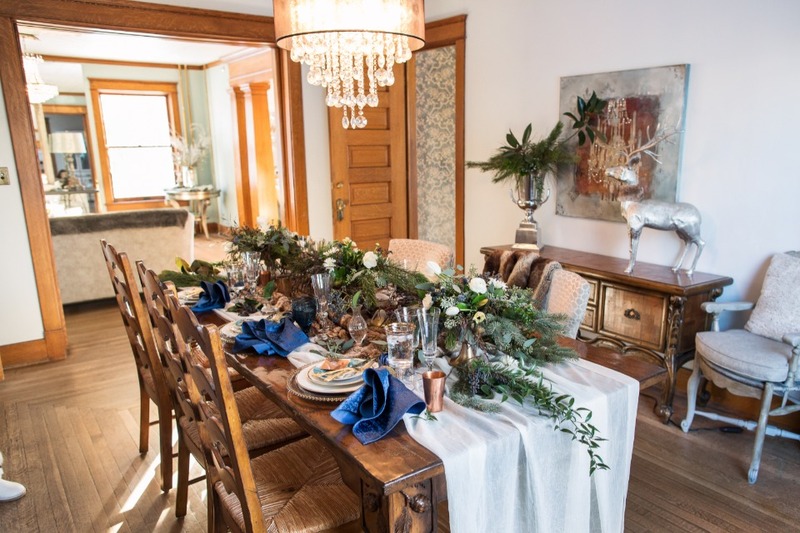 The owner delights in the 6 bedroom home featuring a chefs kitchen, prep kitchen, and lovely spaces to make each room unique. 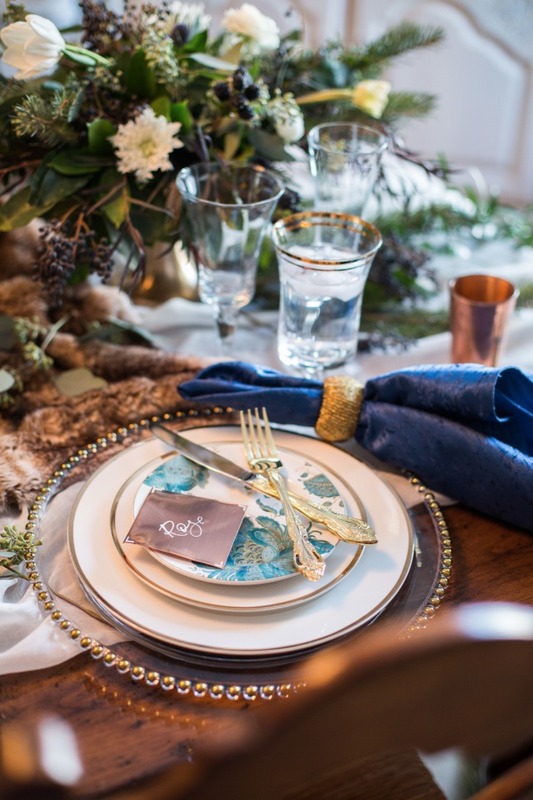 Incorporating mixed metallics in the table scape along with fur and marble textures made for a cozy winter vibe. 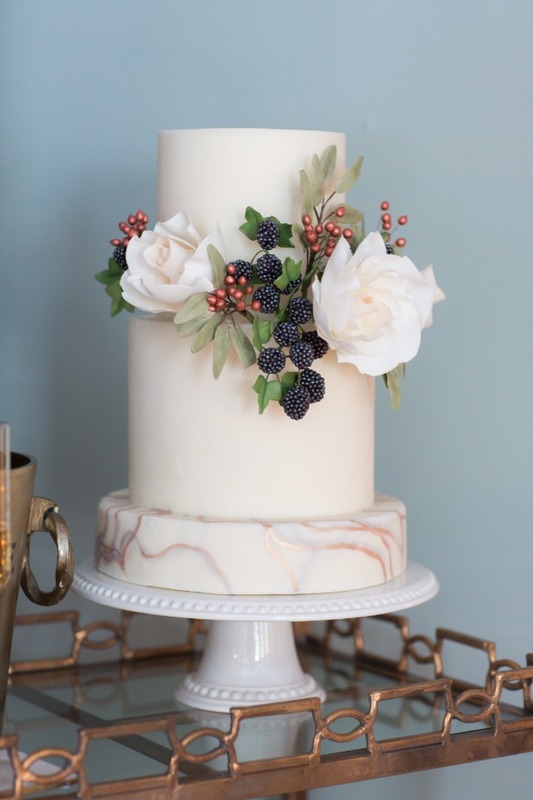 We carried the marble over to the lovely 3 tiered cake adorned with sugar flowers from Sweet Crumbs and the marble linen in shades to match. 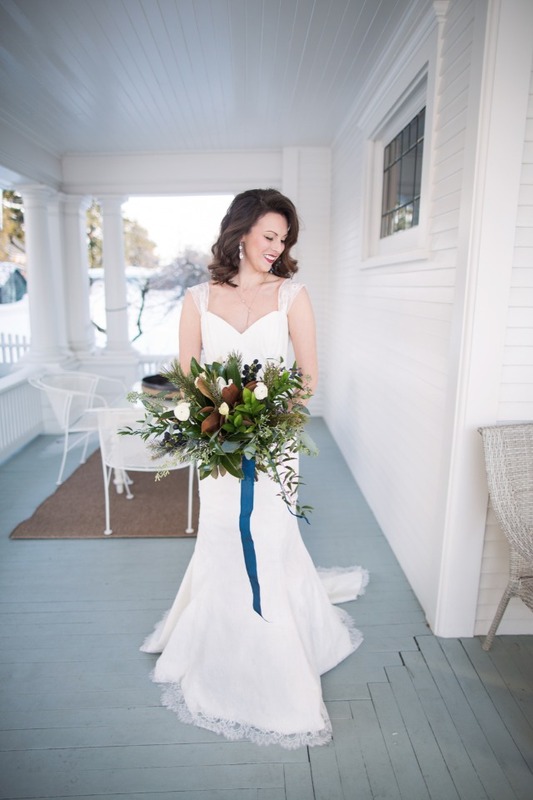 Floral design from Fleur de lis Floral & Event Design was elegant with lots of greenery. 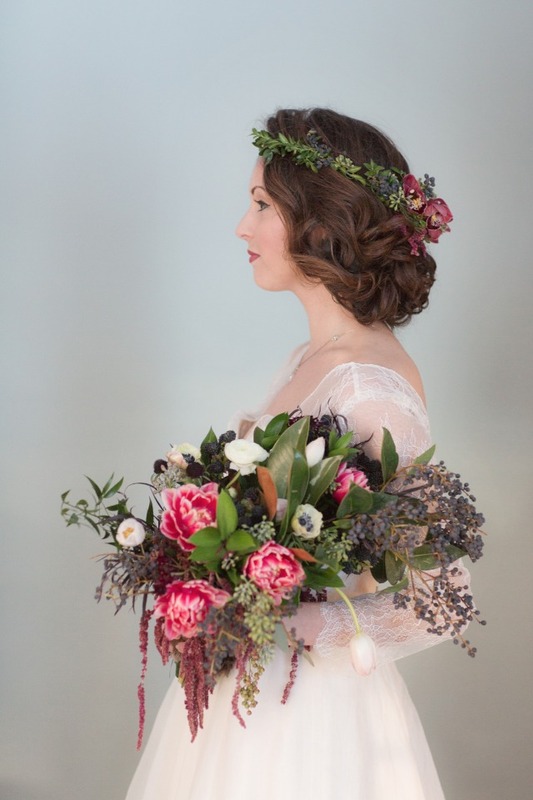 We featured two different styles of bridal looks- one with white floral and blue ribbon, and the other a more fuchsia and marsala toned bouquet paired with a matching floral crown.